Joseph Ephraim Casely Hayford was a West African barrister, author, and political leader who dedicated his life to helping improve conditions for the people of West Africa. Casely Hayford was born on September 3, 1866, the youngest of three sons to parents Reverend John de Graft Hayford and Mary (Awuraba) Brew, both of Anomabu, Gold Coast (present-day Ghana) which was then a colony in the British Empire. Casely Hayford received his education at the Wesleyan Boys High School in the Cape Coast Region of Ghana and then at Fourah Bay College in Freetown, Sierra Leone. While at Fourah Bay College Casely Hayford became a follower on the West Indian-born African educator, Edward Wilmot Blyden. After graduation Casely Hayford worked as a high school teacher and principal of Accra Wesley High School. J.E. Casely Hayford traveled to London, England in 1893 where he trained to become a barrister (attorney). He also studied at Cambridge University where, during his stay he met his future wife, Adelaide Smith Casely Hayford who inspired him to become a writer. 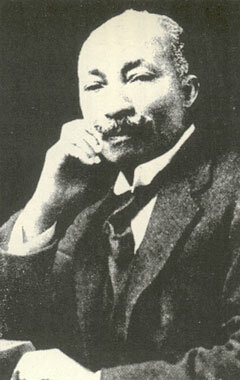 Casely Hayford began practicing law in England in 1896. He returned to Cape Coast the following year and became an active member of the Aborigines’ Rights Protection Society, a group dedicated to advancing the cause of indigenous Africans. By 1910 he was elected president of the society. In 1920, along with T. Hutton Mills, Casely Hayford founded the National Congress of British West Africa (NCBWA), a major political movement in West Africa that worked toward African liberation. In 1923 he became president of the Congress. He also worked as a journalist and served as editor of the Gold Coast Leader, one of the largest black-owned newspapers in West Africa. In 1916 Casely Hayford was elected to the Gold Coast Legislative Council. This advisory council to the British colonial governor was the only body of African elected officials in the colony. Casely Hayford is best known for his six books about West Africa including Gold Coast Native Institutions (1903) and Ethiopia Unbound (1911), which is said to be the first African novel written in English. Joseph Ephraim Casely Hayford died on August 11, 1930 in Accra, Ghana. G.I.C. Eluwa, "Background to the Emergence of the National Congress of British West Africa, in African Studies Review 14:2 (1971); Kwadwo Osei-Nyame, "Pan-Africanist Ideology and the African Historical Novel of Self-Discovery: The Examples of Kobina Sekyi and J.E. Casely Hayford," in Journal of African Cultural Studies 12:2 (1999); Adelaide M. Cromwell, An African American Feminist: The Life and Times of Adelaide Smith Casely Hayford, 1868-1960 (London: Frank Cass & Co. LTD., 1986); Gauray Desai, “Gendered Self-Fashioning: Adelaide Casely Hayford’s Black Atlantic,” Research in African Literatures 35:3 (Fall 2004).